Booming health, education, and technology industries, as well as several massive infrastructure projects underway, have helped push Orlando's unemployment rate down to just 3.8%. That means there's plenty of opportunity for potential homeowners to land a good job to ease the burden of saving for a down payment and buying a house. New homeowners will find plenty to do in the area, from a lively nightlife to the beaches just a short drive away. 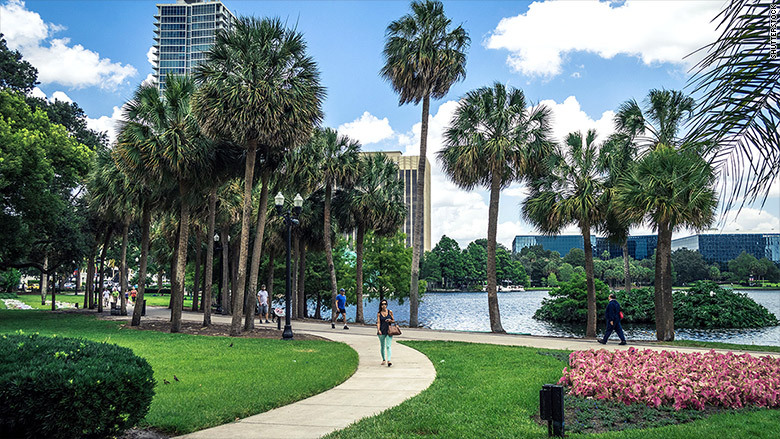 "Orlando is not just the tourist town that it's known as," says Bruce Elliott, president of the Orlando Regional Realtor Association. The Best cities for first-time homebuyers top 10 is based on Zillow's "First-time Home Buyer Index." The index captures a balance of five metrics: low median home values for an affordable down payment, a strong home value forecast to indicate a good start to growing equity, a larger inventory-to-household ratio to capture available supply, a greater share of listings with price cuts to surface less competitive buying experiences, and a faster breakeven to demonstrate a strong incentive to buy over rent. These five metrics are ordered and metros are scored on a scale from 0 to 10 along a uniform distribution. These five scores are then averaged and the average re-scaled to range from 0 to 10.